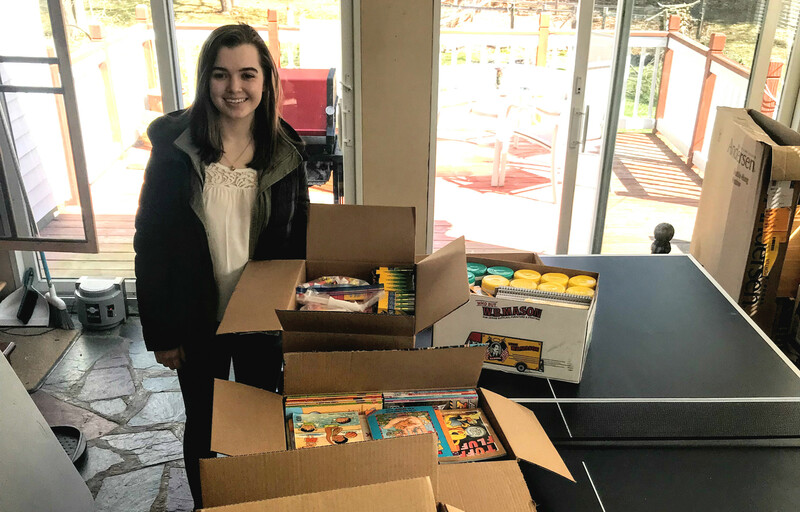 Lindsay, a Girl Scout Ambassador from Topsfield, wanted to raise awareness about natural disasters on a local and national level. She taught sixth grade students lessons explaining natural disasters, their causes, and what to do before, during, and after a disaster strikes. She supplemented the lessons with photos, videos, and experiments. She also coordinated a visit from a Topsfield Health Department Official, who taught the students about how the town prepares for natural disasters. Lindsay also connected with a classroom of first grade students in Houston, Texas, who were affected by Hurricane Harvey. After the hurricane, providing necessities took priority over school supplies. In response, Lindsay ran a school supply drive throughout her community, and sent an extraordinary amount of donations to the class. Lindsay provided the science department at the elementary school with her curriculum, to ensure the classes are taught annually. She also provided a copy of the curriculum to the local department of health so that information on natural disaster preparation can be shared with community members. We are inspired by Lindsay’s vision and determination to make her dreams a reality!